The flow over Snoqualmie Falls, Washington, is relatively low before the autumn storms arrive. Here, the flow is about half the annual average. 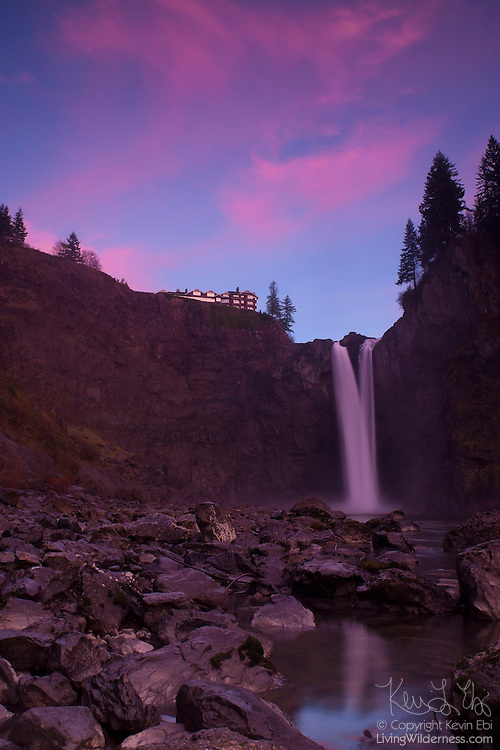 Salish Lodge, a popular tourist resort, is visible on the cliff above the waterfall.